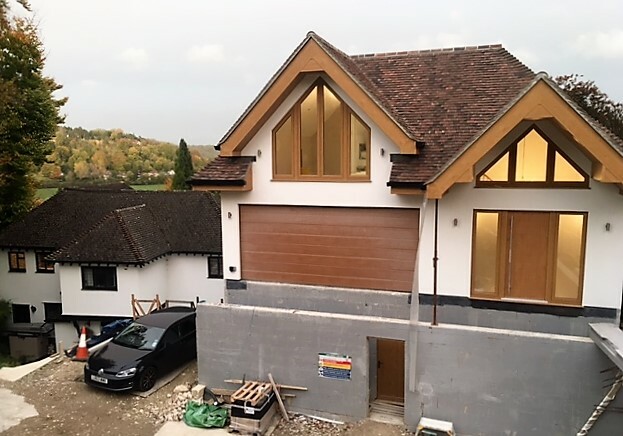 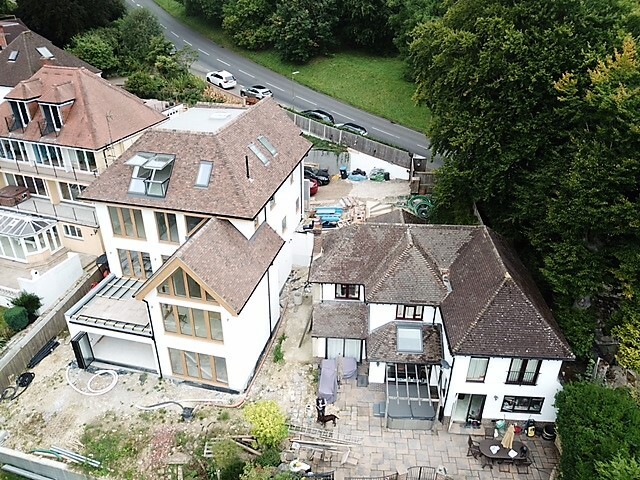 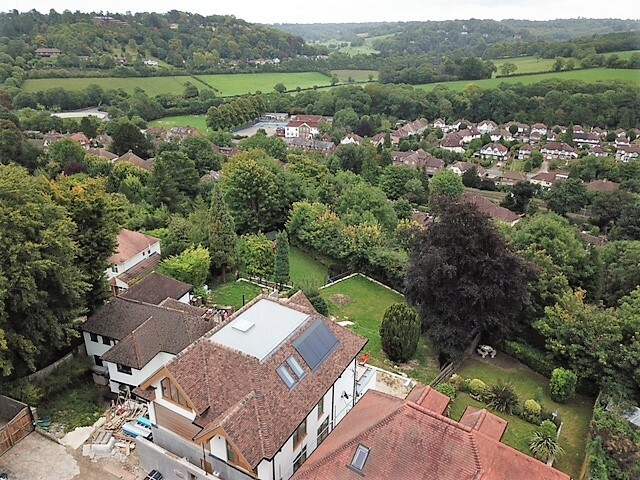 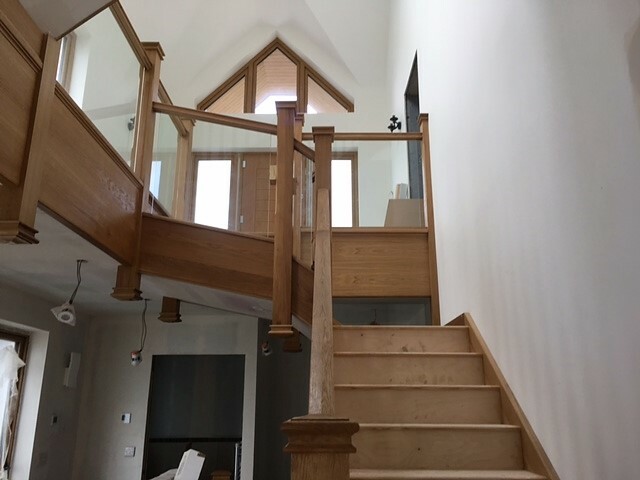 The client of this large three storey over basement house in Caterham, was looking for an energy efficient building system for the structural envelope of his project. 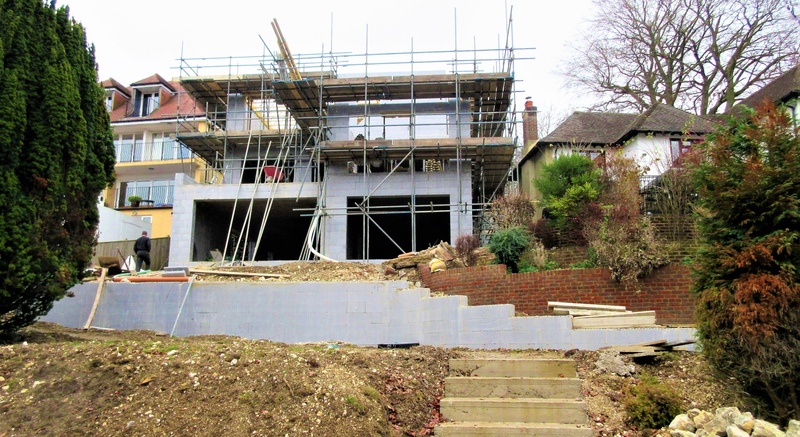 Having come across Thermohouse during his investigations of building systems he contacted us for a quotation. 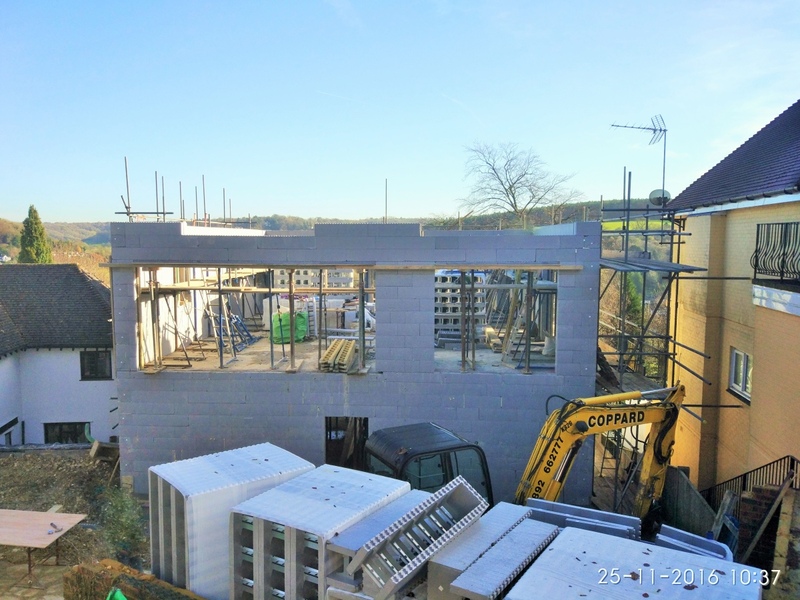 Discovering that Thermohouse provides a “COMPLETE” low energy building system that includes a selection of wall types for the construction of both internal and external load bearing walls, floor shuttering panels and passive roofing panels, as well as insulated boards offering a range of U values and being specifically designed for the installation of under floor heating pipes, the client saw the potential of having this as a one stop shop to fulfil his requirements for the first phase of his construction as a supply and install which would complete the airtight, thermal, structural shell of the building, ready for windows, external finishes and roof finish (Batten, membrane and client specified external cover). 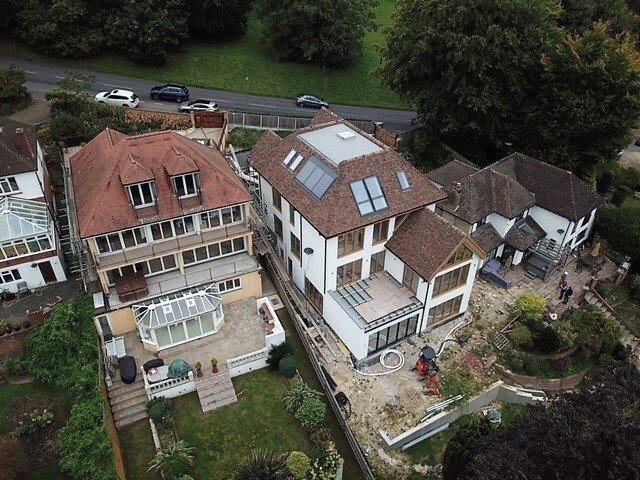 The client wanted to have a sizeable living area on the third floor, however he was hindered by a restricted overall roof height set by the planning authorities. 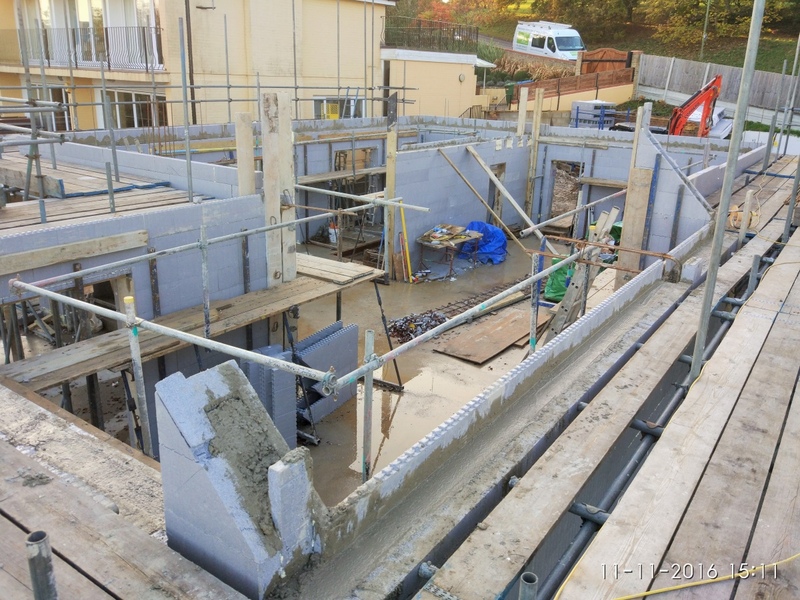 Thermohouse were contracted to supply and install the basement retaining walls, external walls and all internal load bearing walls, with both 150mm and 200mm cavities for the concrete infill (to satisfy the engineering of the structure). 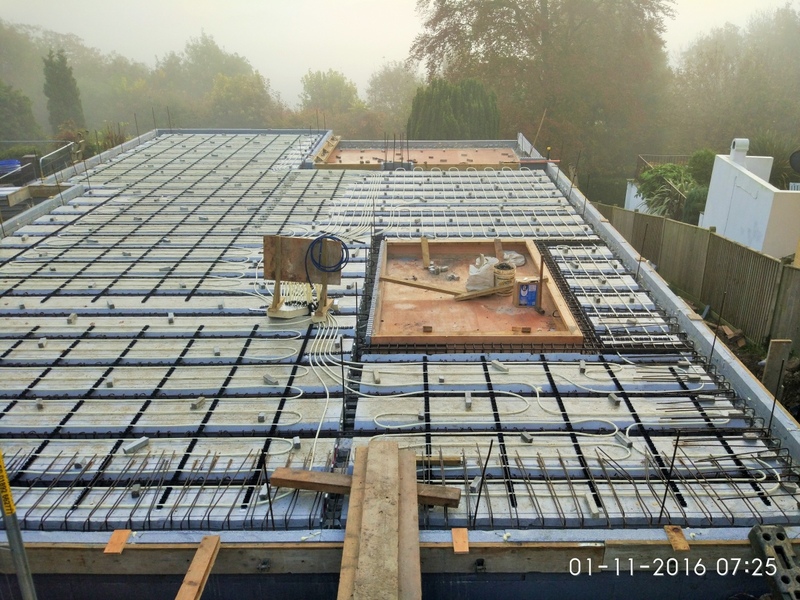 ThermoFloor non-structural permanent shuttering panels for the installation of structural concrete screeds to all the intermediate floors. 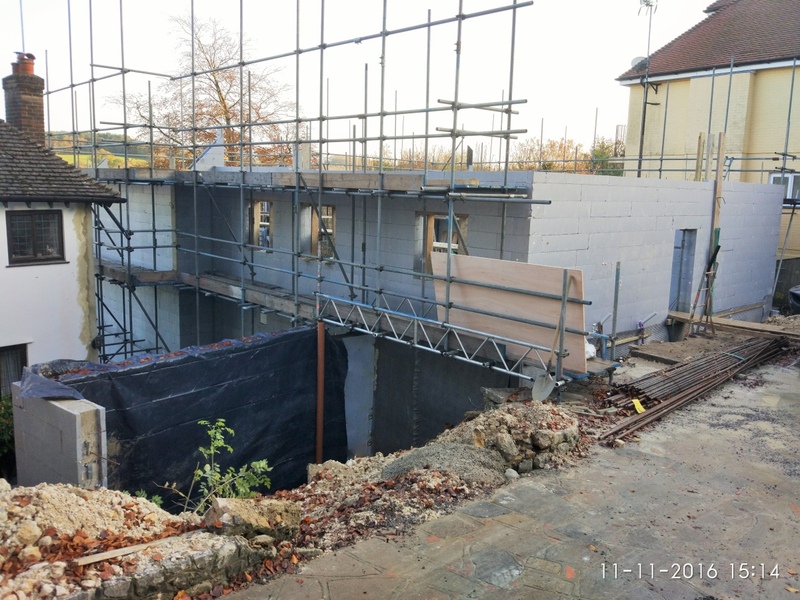 Then to complete the structural envelope of the building, the ThermoRoof passive roofing panel was utilised. 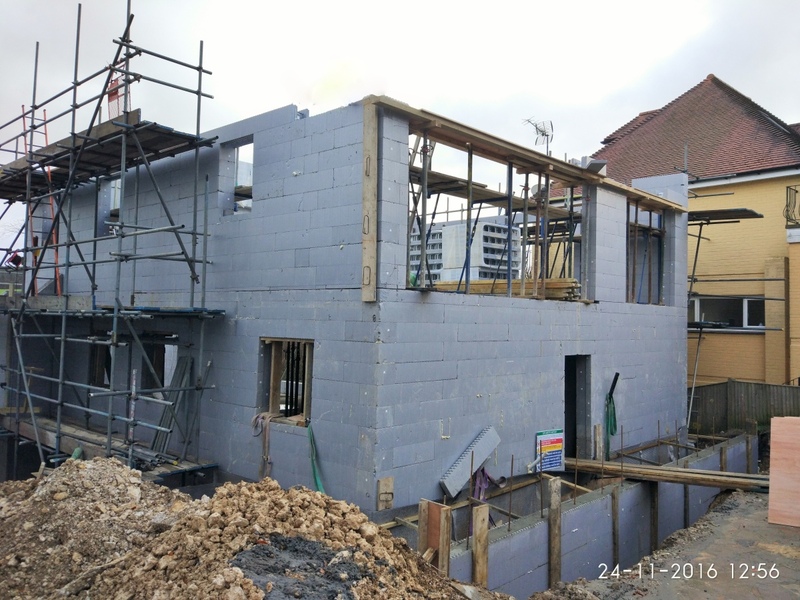 The ThermoRoof was an important factor in gaining the head clearance on the third-floor level within the roof structure. 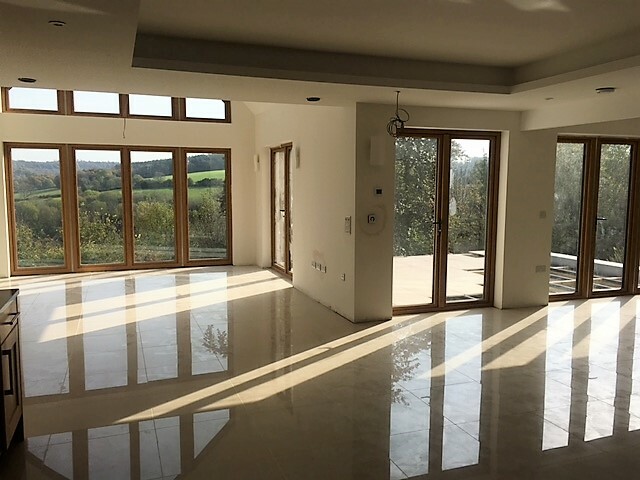 JTA offer services from domestic house surveys to larger commercial projects and have the staff and expertise to assist with a wide range of services including project management and CDM Coordinators.